(TibetanReview.net, Feb01’19) – Two Chinese scholars in Germany, using the communist Chinese jargon on Tibetans who opposed Beijing’s policies in Tibet, have said the unrest that took place in Tibet Autonomous Region (TAR) from 1987 to 1989 had snipped 27% off the region’s GDP per capita from 1988 to 2007. “We attribute the long-term effects of separatism on economic performance to the distortion in resource allocation induced by ethnic hostility and distrust,” China’s official globaltimes.cn Jan 30 quoted a research paper written by Professor Yu Xiaohua and research fellow Sun Feifei from the Department of Agricultural Economics and Rural Development at the University of Goettingen in Germany, as saying. The report cited Yu as saying their research found that ethnic separatism can impact economic development in the TAR in five different ways: increasing public security expenditure, crowding out foreign investment, harming the tourism industry, creating a temporary “Brain Drain” and reducing both domestic and international trade cooperation. It was not clear whether the researchers focused on Chinese government policies that contributed to the so-called Tibetan separatism or whether they premised it all on the Chinese government’s false rhetoric that the so-called Dalai clique was responsible for it all. But truth be told, the Dalai Lama on that day presented his Five-Point Peace Plan for Tibet to the US Congressional Human Rights Caucus. 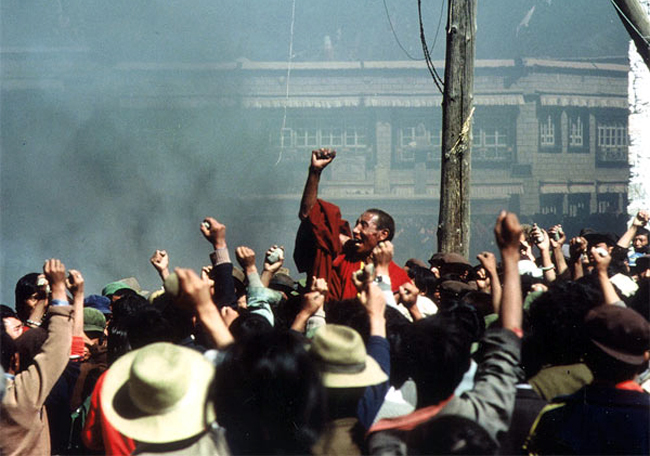 While indeed saying Tibet was historically an independent country, he also called for policies to alleviate the suffering of the Tibetan people and the devastation of their homeland while seeking “earnest negotiations on the future status of Tibet and of relations between the Tibetan and Chinese peoples.” He elaborated on this in his address to the members of the European Parliament at Strasbourg on Jun 15, 1988, calling for autonomy for Tibet under Chinese rule.